We’ve seen trends come and stay in email marketing, from ‘forward-to-a-friend’ to personalization to animated gifs and embedded video. But this one is really, really awesome. 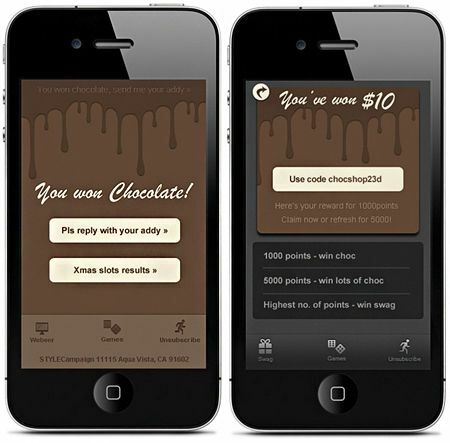 Imagine taking the functionality of a mobile app and baking it into your email campaign. At least 2 companies have done it. UK telecom Sky’s emails are populated with personalized content based on the subscriber’s viewing and recording habits. But that’s not what makes it amazing. The personalized email is integrated with the customer’s DVR. Clicking “Record” from the email adds the program to the user’s personal playlist, just like a mobile app. The benefit of providing this functionality through email is it’s device agnostic – you don’t even need a smartphone to use it. Plus, not all customers with smartphones can be persuaded to download and keep an app on their phone. The email approach has the potential to be used by more customers. StyleCampaign embedded a Xmas Slots game into an email message. 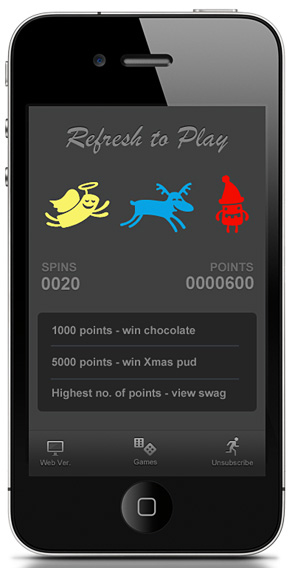 Players could “spin” by refreshing the email and accrue points for chocolate or swag. How it works: StyleCampaign used its own dynamic image server (DIS) with a sessions database to keep track of where each subscriber/player is in the game (and across devices). Engagement was through the roof. Players opened the email an average of 14.5 times, with one player opening 980 times in hopes of winning the top prize. Compared to StyleCampaign’s average open frequency of 2.5 opens. Left: Winners were asked to reply with their email address to receive details about their prize. Right: StyleCampaign’s vision for next time — promo codes. Think about how this could be used for ecommerce. Replace the Christmas characters with actual products, such as newly added items, brands or offerings. Players could spin for discounts or free product. If they don’t meet the threshold, they’ll have been exposed to your products in a much deeper way than through a traditional email. Then, segment email recipients by their degree of engagement with these emails. Look for correlations to consumption patterns to learn more about your customers and further refine marketing campaigns. Run follow up campaigns with social sharing features to learn if the engaged segment is also more evangelical. The possibilities are endless. 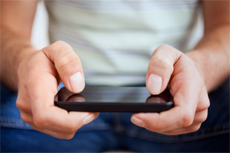 If you’re looking to break out of an email marketing rut, consider app-ifying them. These examples are taken from Responsys’ 2012 Email Design Look Book. Responsys has also release its Retail Email Holiday Guide 2012 worth checking out. Subscribe to the Retail Email Blog to keep up with what’s remarkable in ecommerce email marketing.